Silly me. I thought all party punch was supposed to be bright red and fruity, but this punch changes everything. It's like sipping on a combination of chocolate milkshake, Yoo-hoo and café frappé. 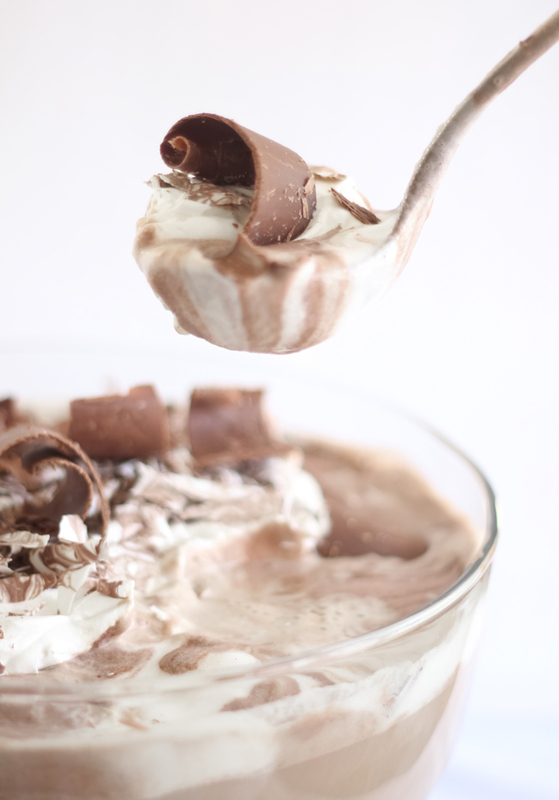 The ice cream on top mixes with the chocolaty punch and creates the most divine frothy topping. If you're looking for something unexpected to serve at your next party - this may be it! I decided to display some of my most-loved vintage party napkins beside this punch. I collect mid-century cocktail napkins, and I'm seriously stingy about using them. I only bring them out for special occasions, and apparently, when chocolate punch is being served (smile). The chocolate curls on top makes the punch look like a million bucks - and when has extra chocolate ever been a bad idea? I doubled this recipe because my punch bowl holds 12 quarts. The coffee flavor in this punch is mild but obvious and it intensifies the chocolate flavor. I certainly recommend using it, but if you're serving this to children or you do not like the flavor of coffee, you may omit the instant coffee granules. If you have instant chocolate milk mix or powdered hot cocoa mix, then you may use it in place of the freeze dried coffee. In a large saucepan, bring the water to a boil. Remove from the heat. Add the chocolate syrup, creamer, sugars and instant coffee granules. Stir until well dissolved. Cover and refrigerate until cold, about 3 hours, or overnight (preferred). 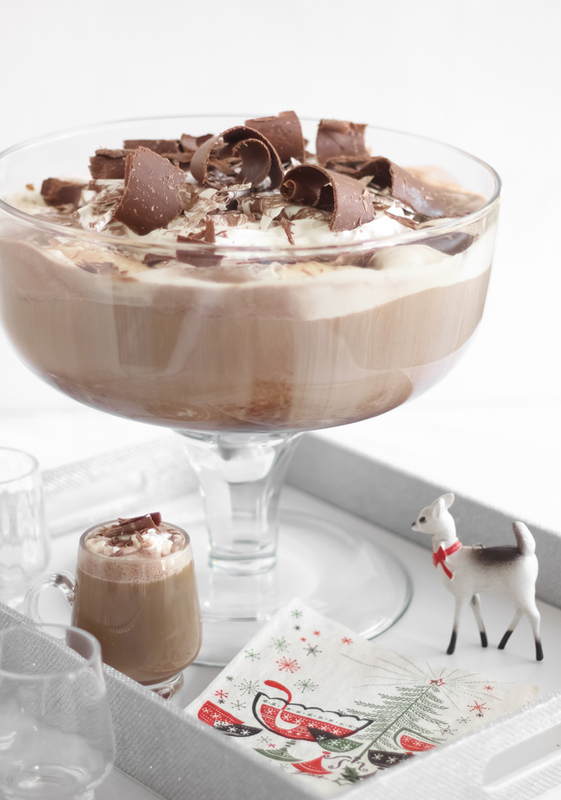 20 minutes before serving, pour the chilled chocolate punch into a punch bowl. With a large ice cream scoop, place dollops of ice cream on top of the punch; stir briefly and let stand until the ice cream spreads and covers the surface of the punch. 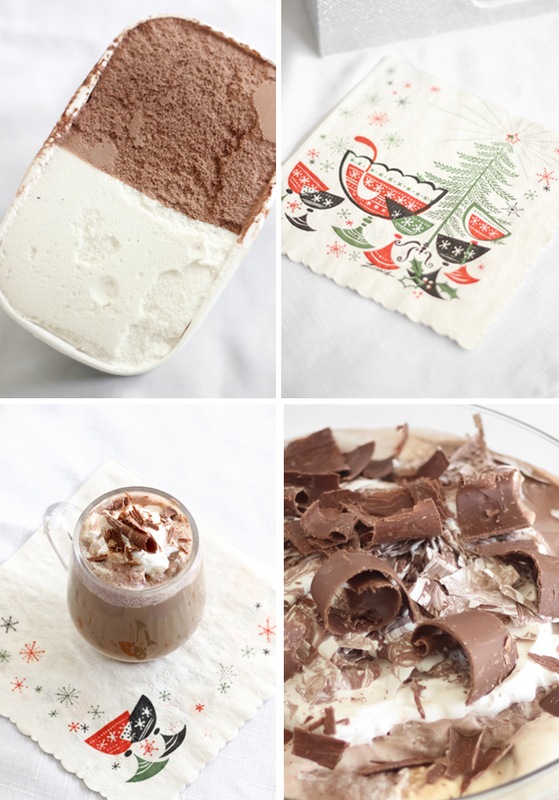 Heap the whipped topping in the center of the punch and garnish with chocolate curls or shavings. This is one gorgeous chocolate flavoured punch. Waaaaant! 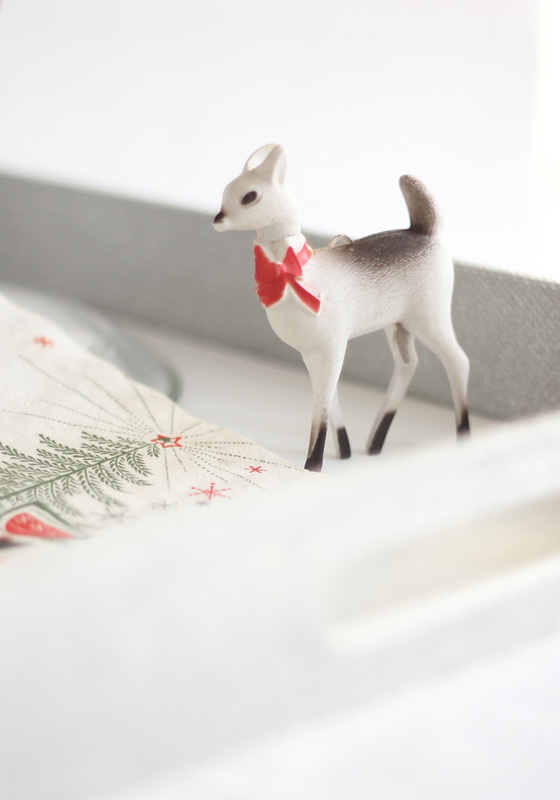 I can't wait to make this for Christmas! I think I'll substitute part of the water for whipped cream vodka. YUM!! Oh wow! 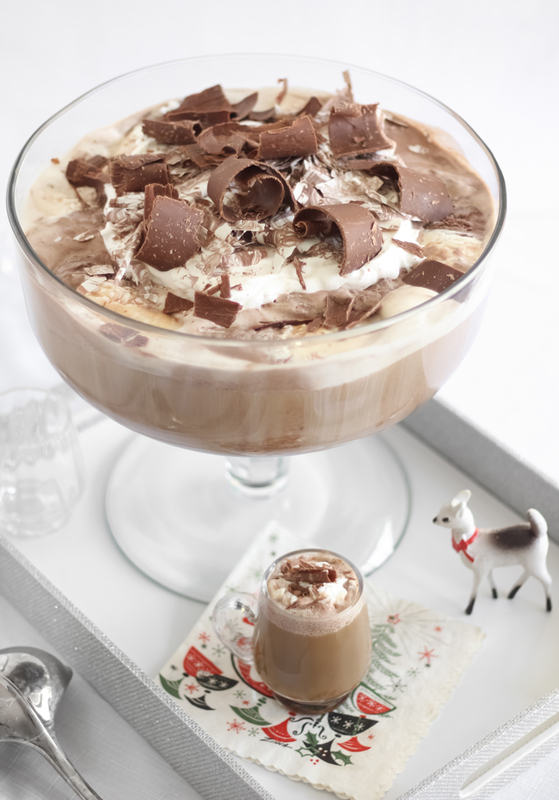 this mocha punch looks so deliciously good! Have a lovely third Sunday of Advent!